The herbal supplement kratom is marketed as a treatment for a wide variety of health problems. "It's very troubling to the FDA that patients believe they can use kratom to treat opioid withdrawal symptoms," FDA Commissioner Scott Gottlieb said in a statement, adding that not only is there no reliable evidence that kratom is an effective treatment for opioid use disorder, there are FDA-approved medications that work. Calls to U.S. poison control centers about kratom, which is made from a plant that grows in Asia, jumped tenfold from 2010 to 2015, according to the FDA. At least 36 deaths are associated with the use of products containing kratom, the agency says. "I understand that there's a lot of interest in the possibility for kratom to be used as a potential therapy for a range of disorders," Gottlieb added. "But the FDA has a science-based obligation that supersedes popular trends and relies on evidence." As a result, the agency has begun seizing supplies of kratom and taking steps to prevent future shipments from being imported into the United States, the FDA says. 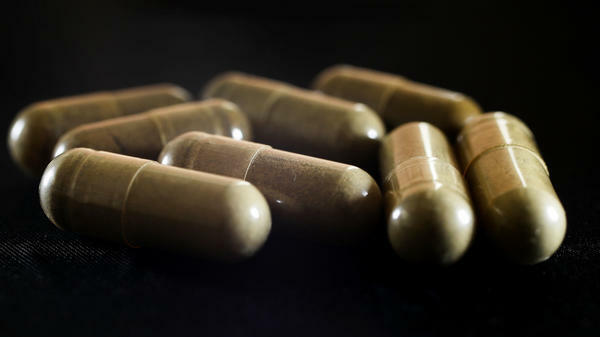 Efforts to restrict kratom have sparked a backlash from advocates of the supplement's use. Last year, the Drug Enforcement Administration stepped back from taking action pending an FDA review. The FDA says that review is underway.